Important Astrological Events of 2018. Eclipse Seasons – So, we will start the year with Eclipse Season. We have a Lunar Eclipse on 31st Jan, 2018 in Cancer and Solar Eclipse on 16th Feb, 2018 in Aquarius. Another cycle of eclipse season will be in July, 2018 when we will have Solar Eclipse on 13th July, 2018 in Gemini and Lunar Eclipse on 27th July, 2018 in Capricorn. As I said in this article - http://astrosaxena.com/eclipses, eclipse seasons always bring confusions in life. As both luminary planets go into the shadows of Rahu and Ketu, our sense of properly seeing and understanding things get affected. It brings problems in jobs, career and especially with authority figures. This is also the time to pay special attention to your parent’s health and your own health. At global level, we can see some governments seeing tough timing or world leaders facing issues in their personal/professional life. At times, it indicates falling of a Govt or death of a world leader. Effects can be seen with things related to the house where these eclipse fall in your chart. Mercury Retrogrades – During 2018, we will have 3 Mercury Retrograde Cycles. First will be from 23rd March to 15th April in Pisces, then from 26th July to 19th Aug in Cancer, and finally from 17th Nov to 7th Dec in Scorpio. Of course, Mercury retrograde will impact the things related with signs involved and the house where it falls in a chart, but besides this, as per my experience, it is just the most irritating time of the year when you may need to communicate repeatedly, your communications may be misunderstood by others, some mistakes somewhere in writing which can be of serious nature, you may lose your mobile or your laptop can crash down. Your travel plans can be rescheduled at last moment. We have just come out of a Mercury Retrograde Season and you may have experienced some of these things in last 1 month. Other than these results, you will also see yourself reflecting back on Spiritual (Pisces) side of life, on Connecting with others (Cancer) and on Occult/Mystical (Scorpio) side of life. That’s what all planets do when they are retrograde. They make us reflect on things related to planet and things related to the house/sign they are retrograde in. Saturn in Sagittarius – Throughout the year, Saturn will remain in the sign of Sagittarius (http://astrosaxena.com/sat17). Saturn is focus and hard work. Sagittarius is sign of higher education & belief system etc. So, it is right time for all of us to focus on higher education in our respective fields. Saturn will make us work hard to gain knowledge and education. Results will be only for those who are ready to work hard with perseverance. A thing to remember here is not to become rigid or fundamentalist as Sagittarius is sign of belief system and different religions etc. During the year, we can see an rise in fundamentalism. People may get into questioning others beliefs which can be avoidable. Although, Saturn entered Sagittarius in Jan, 2017 but in 2018 and 2019 it will get full opportunity to remain in one sign for whole year. So, now we will see the real results of Saturn in Sagittarius with great intensity. During most of 2018, Saturn will be in Moola Nakshatra which will make us research and go into finding the root cause of any issue. It can be a great year for any research oriented education. Lots depend on which house Sagittarius is falling in your chart and where Ketu is placed. Saturn Retrograde – Saturn will be retrograde in Sagittarius from 18th April to 6th Sep. This will be the time when results of Saturn in Sagittarius will be really intense and visible. This is also the time when we reflect back on our duties, commitments and responsibilities in life. As it is getting retrograde in Sagittarius, we will reflect back on our duties and commitments towards our educational pursuits, belief system and Teachers. As I said, this can be a good position if person remains away from fundamentalist approach in matters of religion or belief. Rahu in Cancer – During the year 2018, Rahu will be in Cancer (http://astrosaxena.com/rahucan). Rahu will make us gravitate towards emotionally connecting with others. It depends on the house where Cancer is falling in chart to know where or with whom person wants to emotionally connect. The only challenge or lesson with Rahu in Cancer is to find the balance in emotions. This position of Rahu shows that people can be so happy sometimes that they can throw party to the whole town and they can be so depressed someday that they can think of committing suicide. So, Rahu in Cancer can make you feel pulled towards something or someone but when expectations are not fulfilled, you can feel repulsion from same person or thing. So, key here is to balance things and try to be in middle point, The Buddhafield. Ketu in Capricorn – Likewise, Ketu will remain in Capricorn (http://astrosaxena.com/capketu) for whole of 2018. This can be a troublesome year for Governments or people in authority. Capricorn is the sign of Law, Authority and Government. Ketu represents Isolation or Separation. So, people may not be too inclined towards being under anyone’s authority. They will feel the need of being free from authoritative attitude of people and governments. This also indicates about possibility of more events of breaking the law. Many people may leave the job or told to leave the job and in the end, they may find themselves working for themselves. People will also be isolated against the things where Ketu falls in chart. People will defy authority and governments. Jupiter in Libra – During most of 2018, Jupiter will remain in Libra (http://astrosaxena.com/juplib) and provide that balancing factor between rigidness of Saturn in Sagittarius, excessive emotions of Rahu in Cancer and revolts of Ketu in Capricorn. Jupiter in Libra is teaching us to keep balance between polarities of life. We can see further relationship issues making headlines like #MeToo. Wherever Libra falls in chart, person will try to find peace and balance in that area of life. For about 8 months of 2018, Jupiter will be in Vishakha Nakshatra which is a great sign because it is its own nakshatra. Vishakha is nakshatra of teachers and counsellors. So, it shows an expansion in roles of teachers and counsellors in society to bring a balance amidst chaos. People can be more open to counselling which is always a good sign towards awareness and improvement in life. Jupiter in Libra is just indicating to us about reaching a balance point. We can have our own opinions and beliefs based on our experiences. We all can have parallel existence with those opinions and beliefs. This is what Jupiter is telling us to learn to be in balance. Again, the house where Libra falls will be the focus of balancing throughout 2018. Jupiter Retrograde – Jupiter will be retrograde between 9th Mar to 10th July, So, we will see these results of Jupiter in Libra more intensely during those times. It will also be a time to reflect on our beliefs, morals, values, teachings and Gurus. It is about correcting the wrong teachings and beliefs. Mostly these beliefs, values and teachings can be related to Libra, i.e. Relationships, or the house where Libra is falling in your chart. Mars Retrograde in Capricorn – Another planet that will be retrograde in 2018 is Mars. Mars will retrograde from 27th June to 28th Aug. As Mars is all about actions, efforts, will power and courage, this will be the time to reflect back on these things to understand if we are taking right actions or if we are correctly utilizing courage and will power in right direction and thereafter make necessary changes. Mars is going to retrograde in Capricorn where it is exalted. So, people will reflect if their actions are as per law or if they even need to abide by the law anymore. As I said, this can be year of troubles for Govt. Likewise, wherever Capricorn falls into chart, person may think back if he is taking right action or if he needs to take any action related with things of that house. As Mars is exalted in Capricorn, there can be new-found enthusiasm and courage to deal with matters of life in the beginning of this transit but as Mars goes retrograde, there can develop a sense of self-doubt & lack of courage and person may reflect on his own abilities to take right action. Mars-Ketu Conjunction – And this is where transit of Mars can be real troublesome. We can say that 50% of Mars good results in Capricorn are taken away by 1st Mars retrograde and then Mars-Ketu conjunction between 2nd May to 6th Nov. Mars-Ketu conjunction is normally associated with accidents, surgeries, bloodshed and revolts. As this conjunction is in Capricorn, a sign of Government, we can easily see a military revolt or coup happening. Even if it is not to that level then there will be seething anger against Govt, Law and People of Authority. This will be the time when people can seriously protest against ruling class. This transit of Mars is as troublesome as Mars-Saturn transit in Scorpio in 2016 (http://astrosaxena.com/mstrans) as 2 strong malefic are coming together. Its maximum result can be seen when Mars and Ketu are within 10-15 degrees of each other. So, understand this conjunction or Mars transit like this. Mars in Capricorn is always the person who is most law-abiding. But then it gets retrograde which makes person reflect back if he is right in abiding by law. Then Mars gets support of Ketu and together they can create situations like revolt or coup due to dissatisfaction from Govt or Law. At personal level, it can create accidents, injuries and surgeries. So, please be careful about these events. Also, things of the house will be effected where Capricorn is falling. 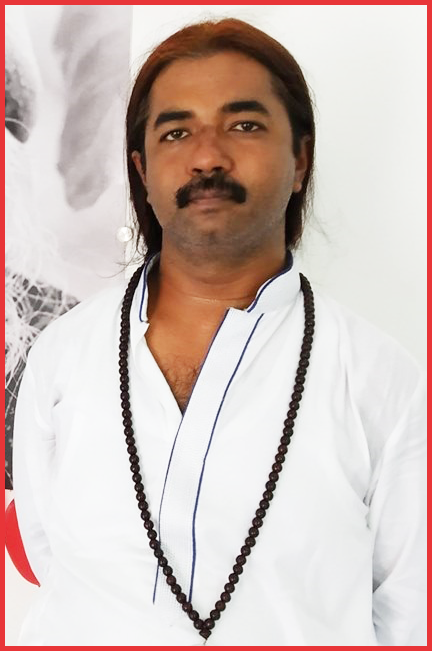 The concept of Jeeva Karaka and Ajeeva Karaka (http://astrosaxena.com/jkak) will be helpful in understanding that where we can expect good results and bad results of this transit. Venus Retrograde in Libra – Then the last of retrogrades of 2018, i.e. Venus retrograde (from 6th Oct to 16th Nov). Venus retrograde in Libra will make Venus transit in Libra from 1st Sep, 2018 to 1st Jan, 2019. This is a transit totally dedicated to relationship as Venus and Libra both represent Relationship. So, this can be the time to reflect on our relationship to see if we are in right relation or not and what we can do to improve our relation. Also, it is about every relation, not just husband and wife or lovers. So, wherever Libra falls into chart, we will be analysing and reflecting on the relationship with people related with the house where Libra is. Jupiter moves into Scorpio – Finally, Jupiter will switch from Libra to Scorpio on 11th Oct, 2018. This shows a switch in our focus of knowledge, learning, wisdom and education from Relationship (Libra) to Dark Occult, Secret & Mystical World (Scorpio). We can say that 2019 can be great year for Occult Science and Occultists. We are going to gain great knowledge of occult and mystical side of world. The things related to the house where Scorpio is falling in your chart can see a big change but as it is Jupiter in best friend’s sign, eventually change will prove beneficial. Rahu-Jupiter mutual aspect – What makes this shift of Jupiter in Scorpio more prominent is between Oct, 2018 to March, 2019 Rahu in Cancer and Jupiter in Scorpio will aspect each other. This is going to expand and explode our occult knowledge and need for emotionally connecting with others. Wherever Cancer & Scorpio are falling in chart, things related to that house can become area of focus during these 5 months. Conclusion – As we can see, this year 2018 can be an intense and eventful year for the basic reason that all 5 planets will go retrograde during the year. It means there energy will reach Earth more intensely. It will also be an year of reflecting back at lot of things and correcting them due to same retrograde planets. Also, a good thing is that Saturn, Rahu, Ketu and Jupiter will stay in one house/sign for almost whole year. Only Jupiter will change sign in year-end times. This means that energies of these planets will be focused or centred at one house/sign and we can expect events to happen due to this focus of planets. So, here ends the last article of 2017. Tomorrow, on 30th Dec, 2017, I will do an FB Live regarding Leo Ascendant. Thanks for your continuing support during 2017, especially for taking time and reading articles & giving feedback. It helped me a lot in improving myself. I wish you all a very Happy New Year 2018. Hope to get same support in many years to come.